I am absolutely thrilled to announce that Phoenix has been chosen to be part of Bookbuzz 2017! Bookbuzz is an amazing scheme run by the reading charity BookTrust. 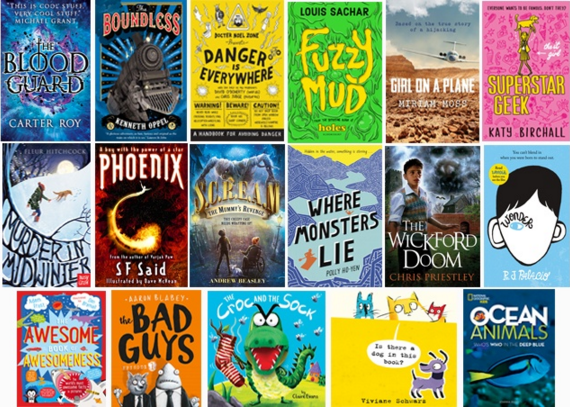 Every year, schools that sign up to Bookbuzz are sent a package of books chosen by a panel of experts. Teachers and librarians then share the books with their students, who can choose one book to take home and keep – for free! The books cover a wide range of genres and are designed to appeal to all students aged 11 to 13, regardless of their level of reading. I think this is a brilliant idea, because that's an age when people often stop reading for pleasure. There are so many demands on your time in secondary school, but the pleasure of reading a book you love is something that should never be lost. So I love the idea of a scheme specifically designed to create a buzz around books at that age.